Two: I ended up sitting in most of the pics because the camera kept cutting my head off. Three: Please excuse the messy background. We always think about tidying it up, but it's always raining & wet. Sheesh, I didn't even notice that stick branch on the ground until I was editing these pics. I thought it was clever =) Thanks to Priyanka & everyone who took a shot. 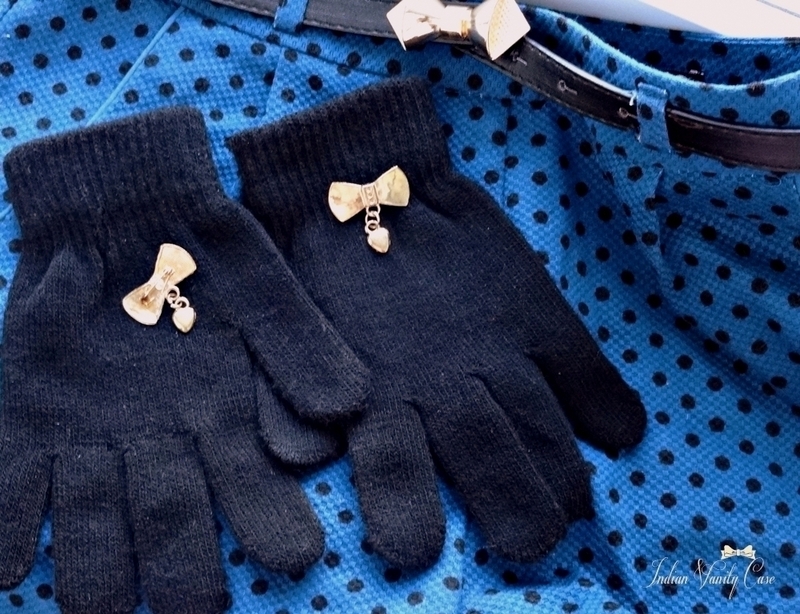 I grabbed these jewelry pieces from Primark: Bow Ring (£1.50 = Rs.133) & Chartreuse Earrings (on sale for £1= Rs.89). I'm so into chartreuse these days. 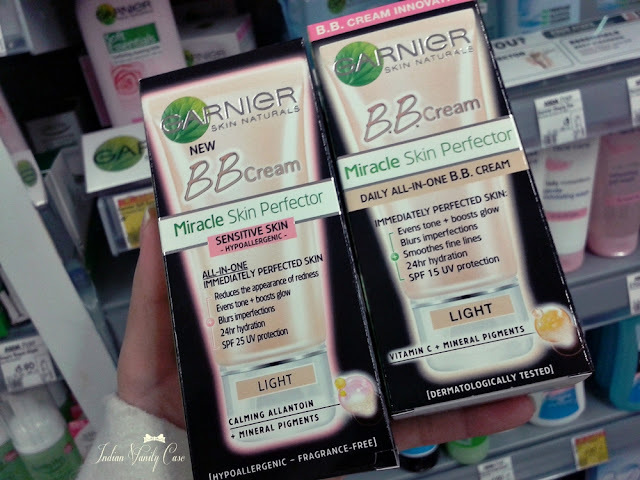 Garnier BB Cream Miracle Skin Perfector: There are 4 types of Garnier BB Creams in the UK- Daily All-In-One (Original), Oil-Free version, Sensitive Skin version, Anti-Ageing version. I got the original one in Light (right in pic). Shade Medium is about 2 shades darker than my skin tone. I hear they launched only 1 shade in India. What's it like? Mr.CZ: "Here. I stole these for you." See you again soon in a Christmas Makeup Tutorial. When I saw the first picture being posted on Facebook, I thought it was some Chinese doll.No exaggeration, I swear! Also, I couldn't agree more with everything 'Life is a fairytale' said about your blog. Thank you for the post. I am feeling very vulnerable and deeply upset over recent happenings over the world (you might be knowing). Your post lifted my mood a bit. Specially love the last pic. Listening to some women power songs and that pic is like "I may look delicate, but I've strength of Gods in my soul." Wow, so pretty! Btw, did you try out the Garnier BB cream? How was it? I have very similar skin to you, and was wondering if I should buy it or not. Pls do review the PTR products when u get the time. enjoy reading your posts always! no hangups!simple and honest!! Hey Thanks for choosing my quote. I am an avid follower of your lovely blog. Your work is so professional with an amazing humor quotient in it. priyanka. Can't agree more with you, Priyanka, about the humour quotient of this blog. Every post is a surprise - not only with CZ's professionalism but also with the fine art of making it sound so interesting and funny. Keep up the good work. Your blog is "ONE OF A KIND"
the last photo is actually a good one, that half sunshine has the warmth of festival and year ending with new hopes. nice post.